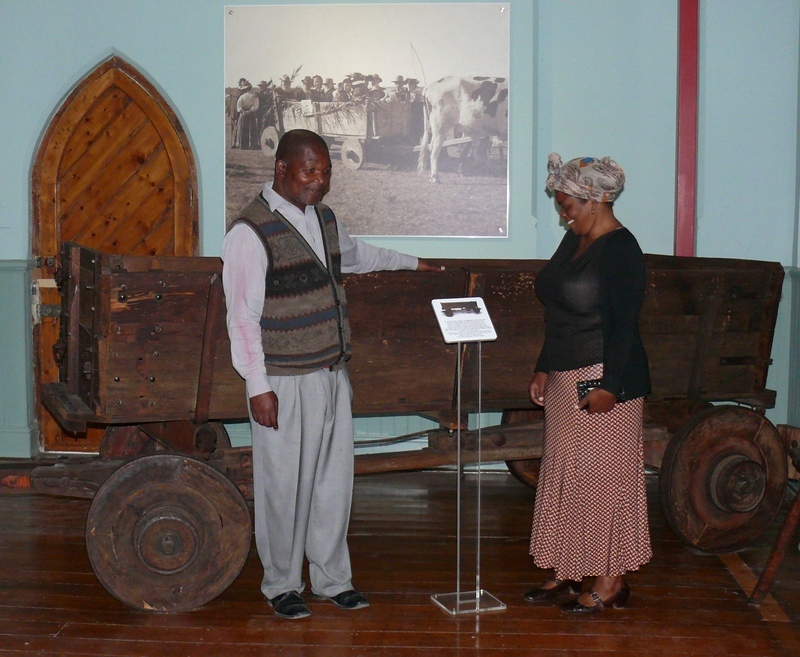 King William's Town (eQonce) was one of the largest and most prominent producers of wagons in Africa from 1870 to 1950. Well-known workshops included Ririe Bros., R. Symons (Buffalo Wagon & Carriage Works), W.G. Glennie (Bon Accord Works), Burgess & Co and Behnke Bros. There was a big demand for well-produced carts, wagons and trolleys, especially during wartime. Chief customers were farmers and transport riders. As an important commercial centre and the capital of British Kaffraria, the town was a vital economic hub, ideally situated for trade with the Transkei trading stations, but still relatively close to the East London harbour to warrant several large trading concerns that depended on transport. Idabi is a powerful, local history installation, representing a benchmark in Struggle exhibitions. This is achieved by displaying cutting-edge research material and never-before-seen artefacts with the use of exhibition technology. Through QR codes, downloadable via the Museum free wi-fi, you are able to listen to the voices of the struggle stalwarts themselves. With the aid of visuals, Idabi gives context to the struggle dating back to the days of independent chiefdoms. The display looks at the pioneering role this region played in the origins of black politics in South Africa. The first Native Congress, a forerunner of the ANC, was established in town in December 1891. Indeed, one of their first meetings was held in the town's old library which now forms part of this Museum. We also investigate how race informed the creation of all the settlements in and around town including forced removals such as Old Town (our own District 6). Between 1960-1985 the apartheid government forcibly removed 3.5 million people from their homes in one of the largest mass removals in modern history. The aim of the exhibition is to tell the story of 19th century King William's Town in all its facets, including conflict, acculturation, coexistence and cooperation. This is achieved by utilizing both the history and anthropology collections. The old Eurocentric displays, which omitted important information and ignored certain aesthetic and museological principles, were replaced with a new multi-cultural exhibition. The new approach has important educational implications, promoting an understanding of local history and culture. * The Introduction Panel concentrates on the events that led to the establishment of King William's Town as well as the centre's early growth. By focussing on the role of, for example, Rev John Brownlee, Col. Harry Smith and Hintsa, it attempts to dispel popular inaccuracies regarding the town's history. 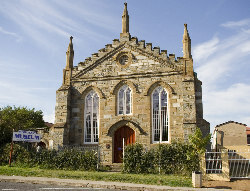 The Missionary Museum was constructed in 1855 as a Wesleyan Chapel. In 1894 it was sold to the Baptists who used it as a mission church until the enforcement of the Group Areas Act led to the closure of the church. The museum opened it doors to the public in 1976 and functions as a satellite of the Amathole Museum.